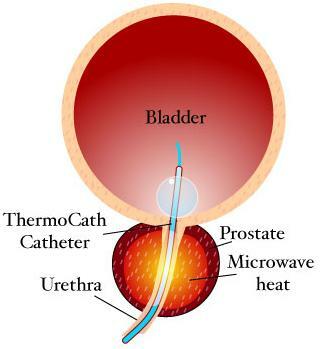 Lake Jackson Urology offers outpatient transurethral Microwave Therapy to its patients under local anesthetic. Through this procedure, also known as TUMT, Dr. Blake will treat urinary symptoms caused by a condition known as benign prostatic hyperplasia (BPH), which results from an enlarged prostate. During the procedure Dr. Blake will emit a dose of microwave energy that destroys any excess prostate tissue blocking the urine flow. If prostate growth is making urination difficult, and you would like to schedule an evaluation for the Transurethral Microwave Therapy, please message the practice today by logging in through your patient portal or call the office at (979) 297-9488. If you do not have a username associated with our patient portal, please call our office.